The Global Whisky Counter-boycott is directed at the West Dunbartonshire Council in Scotland, which is boycotting Israel. Their boycott which extends to all products from Israel includes a ban on all Israeli books. West Dunbartonshire Council member, Jim Bollan, (Scottish Socialist Party) who is spearheading the anti-Israel boycott has come out publicly in defense of the Palestinian murderers of the Fogel family, in which the murderers expressed no regret for their heinous and brutal terrorism. The counter-boycott of Whiskys distilled OR bottled in the West Dunbartonshire Council Region of Scotland is extremely important as 10 other Scottish councils are considering similar, anti-semitic and anti-Israel boycotts -- the success of the current counter boycott will act as a deterrant against other Scottish Councils. Email the bottlers and distillers of whiskys in the West Dunbartonshire Council Region and let them know your outrage at the antisemitic and anti-Zionist boycott...and that you cannot sit by idly while Israel is maligned by West Dunbartonshire Council. 1. Kudos to the JPost for their excellent article about the counter boycott, which is gaining popularity around the globe. 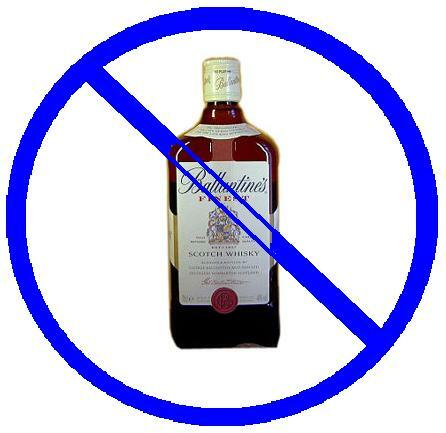 "Kiddush clubs declare boycott on Scottish whiskey" (link). Many newspapers have picked this up as well...The Forward...and organizations as well CiF Watch, etc. Auchentoshan has invested significantly in working with its many friends and supporters around the world, including the Jewish community and the Kosher London Beth Din, where we recently certified our Auchentoshan Classic as a Kosher Single Malt Whisky. As a business we recognise the concerns you have expressed regarding this policy. We are forwarding your email and separately writing to the West Dunbartonshire Council to ensure it is made fully aware of the potential implications of its policy. Thank you for contacting Chivas Brothers and its sister company, Pernod Ricard USA, regarding the attributed decision of The West Dunbartonshire Council in Scotland to participate in the BDS campaign (Boycott-Divestment-Sanctions) against Israel. Please be assured that the West Dunbartonshire Council does not represent the views of Chivas Brothers and Pernod Ricard USA. Pernod Ricard USA is a long and proud supporter of several leading Jewish causes, including the UJA Federation of New York, which has worked for decades to improve the quality of life for millions of Israelis. While some Chivas Brothers brands are bottled in Dumbarton, none of its whiskies are distilled in this region and both The Glenlivet and Chivas Regal are bottled at their site in Paisley and not Dumbarton. For the sake of accuracy, the following list is based on the reports of expert Whiskys afficinados living in Scotland who are extremely familiar with the Whiskys in West Dunbartonshire. This is the most up to date and accurate list as of June 14, 2011 of Whiskys Distilled OR Bottled in West Dunbartonshire. 4. Kudos to Kiddush Clubs around the world who are joining the struggle against immoral and unethical boycotts of Israel. These boycotts seem manifestly unfair. I know my local town council are a buch of elf leaning idiots. Should my business be boycotted because of the policies of people I did not elect? Why should Israel be boycotted by a Scottish Council? That's even more unfair. 1. Enough pressure on the Whisky Companies will definitely cause the Council to stop their boycott. 2. TEN other Scottish Councils are considering boycotting Israel as well. This well definitely make their think twice, if they believe that Whisky companies in their regions will suffer a boycott as well. 3. Life isn't always fair, and my #1 priority has to be the safety and welfare of the Jewish State. As I've written, I'm truly sorry that this boycott targets those Whisky companies...but this is the most effective way of countering the boycott. And its working. The pressure is working. So the end justifies the means? If that's the case why not get more creative? How about we threaten to kill 10 Scottish Terriers per day until the boycott is dropped? Or kidnap the children of the Scottish ambassador? How about bombing Glasgow? I cannot believe anyone would agree to any if those suggestions......and rightfully so. This whiskey boycott is no different. You are simply hurting innocent people to get back at the council and encourage them to change their minds. Your intention is admirable but not your method. No. I'm a right wing chareidi you nut. You wanna continue in Yiddish? if your living in scotland or the uk - I would leave and come here. I know life is not perfect in Israel - but at least the only antisemitism we get are from Arabs and Lefties. In "scootland" - they appear to be nice - but are in fact a bunch of left leaning morons apparently. If your job is in that area of scotland, then you probably live in the area, and then you are as much to blame for the council elected as anyone else (like the Pallies in Gaza who voted Hamas in ) - so don't moan about targetting the innocent. Yiddish? Achh, a פֿאָרווערט reader. Unless you're a Neturi Karta nut and then wouldn't care about your fellow Yiddin in Medinos Yisroiel, only your frient Yasser. Must say, a wonderful and hilarious set of postings! Blessings to all of you! Oy. You people are so small minded. I'm as right wing as they come. I would have voted for R M Kahana הי״ד. But that's not the point here. I run a business in חו״ל (not Scotland bh.) and can just imagine if I was boycotted due to no fault of my own. It's cruel and heartless. should be held unaccountable for the anti-Semitism emanating from the West Dumbartonshire Council? How do you think the council got there in the first place? And just because some company did business with Germany and Nazis during World War II, doesn't mean they should have any negative repercussions for it. They just were making a business decision, no politics involvement at all. Having been at the sharp end of the London Bds activists every two weeks outside ahava in covent garden followed by their attempts to mob the local tesco store in order to vandalize the israel display , I welcome this new found hard ball approach . The scum bag alliance of socialists and islamists together with a fair scattering of "as a Jew" Hamas supporting Jews are well organized and use a wide range of tactics designed to delegitimize and ultimately eradicate israel. It's time to play them at their own game . Unfortunately there are only a few genuine street activists among us . We need more . This boycott is a good start . Hitting the distilleries in the pocket is a start . Just ignore the comments from "Anonymous"! There is no other way to get through to these Scottish/Irish Antisemites but to let them taste their own medicine. BOYCOTT THEIR PRODUCTS - and they will wake up! I’m sorry Jameel, but you, like your friend JoeHater simply don’t understand Chutznik’s argument. So let me explain it to you in terms that even a moron can understand. Let’s pretend for a second that Chutznik really is an extremist right wing chareidi who represents the typical Yeshiva World reader and is only concerned that some kashrus supervision company gets paid off so he can eat their food, and not that his fellow yiddin are being attacked. Having assumed that, and to help you understand Chutznik’s argument, now let’s place Chutznik in Tel Aviv as a leftwing businessman who produces books that he sells to Scotland. Suddenly Chutznik finds his books banned, perhaps even burned as Scotland communities start marching in goosestep with West Dunbartonshire. Now Chutznik finds himself confused. Here he is, a good leftist who is happy to attack his fellow Jew and show the goy he is “not one of them” and certainly doesn’t stand with those Yiddin as they are attacked internationally, yet his books are being banned in Scotland. But no one in Scotland hears Chutznik. They just see an Israeli, a Jew, and know they can and therefore must ban his books. At this point Chutnik faces a dilemma. His books are banned, and besides writing a firm but conciliatory letter to the West Dunbartonshire council there is no further action he can take. Ahhh, but Chutznik knows Yiddish, and that means he has a Yiddishe Cup. Chutznik knows how to fight back against the West Dunbartonshire council without involving any of the citizens who voted in the West Dunbartonshire council or the companies that keep the West Dunbartonshire council afloat fro tax revenue. Chutznik is going to create an unbearable dilemma for them, a paradox that will place them in such a situation they will be frozen in indecision. Chutnik, the book publisher, decides to reprint Mein Kampf and offers to donate it to the West Dunbartonshire council and town library. This way, Chutznik thinks to himself, he’s got them trapped in a Catch-22. They don’t want books from innocent Israeli book publishers like him, but yet they do want copies of Mein Kampf. They will be pained either way, if they choose to ban Mein Kampf they don’t get the copies, but if they take Mein Kampf, they get them from an Israeli publisher - either way they lose. Unfortunately for Chutznik he missed one salient point. Mein Kampf is also printed in the PA, and the West Dunbartonshire merely needs to order it from Ramallah. So in the end, Chutnik is left with a dozen copies of Mein Kampf he can’t even get rid of - simply because he is a Jew who won’t stand together in solidarity when his fellow Yiddin are under attack. Do you understand Chutznik's argument now now Jameel? You guys are clearly nuts, and never run a business yourselves. Where my business is located (somewhere in Chul)the local businesses have NO vote or say in council matters. Only private residents can vote. I assume Scotland is the same. This means that local businesses have NO responsibility for their council's decisions. So what you are proposing is targeting innocent parties in order to change council's reprehensible decisions. So lets be clear on that. NOW, answer me why you would not agree with my suggestion - one that would surely get lots more publicity that the kidush club bans - to threaten to kill 10 Scottish Terriers per day until the boycott is cancelled. Bourbon is better and cheaper anyhow. Can I still buy scotchtape? scotchguard? Can I still play hopscotch? Oh, It brings me a bit of pleasure that those so-called exclusive Kiddush Clubs that only take 18 year old or better. 24 year old Laphroaig and such. The fact that the two companies used identical language at the end- the only practical part of their letters- shows that maybe they're coordinating, which would be a good sign. I think Chutznik is missing an important point. Boycotting a business (the distilleries) effects the jobs of those who work there, most of whom presumably live in the district which elected these clowns. If this unfair to the people who didn't vote for the councillors? Absolutely. But this is war, just as much as a physical war. We didn't want this war, but we were attacked (boycotted) first, and our choices are to either fight back or do nothing. All wars have 'collateral' damage - they effect the innocent as well as the guilty. If we take Chutzik's argument to its logical conclusion, Israel should do nothing in the face of rocket attacks from Gaza because taking action would hurt innocent civilians. Obviously that is ridiculous - the enemy attacks (boycott) are designed to hurt innocent Israeli civilians, so Israel needs to respond to stop the attacks and protect its citizens. A nation's first job is to protect its own civilians, not the civilians of an enemy country. War is unfair. Life is unfair. Innocent citizens get hurt in wars. This war was not started by Israel, but Israel must win if she is to survive. When you are attacked, your choices are to fight to survive or to die. I prefer survival. The BDS movement fights with everything available, regardless of how immoral or unethical they are. You dont go to a street fight with a marshmellow gun. Plus, at the end of the day, the Whisky Distillers are companies based on loss and profit. They aren't a non-profit charity. Their profits are driven by their products and if their product sales are impacted by west dunbartonshire's stupid boycott, they will take whatever steps are neccessary to improve their sales. We cannot allow more BDS successes to isolate the Jewish State...and we must fight back. And the Whisky Counterboycott is working...see the latest post on the blog, how YESTERDAY the Dundee Council in Scotland REJECTED a boycott and condemnation of Israel. seems Israel isn't alone in their mistrust of this group.